In Brazil, the population often has to undertake long and costly journeys to receive audiological care. Together with the Sorocaba Association for Hearing Impaired Children (APADAS) the Hear the World Foundation changes this circumstances - by training experts, so that there will be more centers providing comprehensive audiological care in the future. Brazil's over 200 million population is entitled to medical care, including hearing aids and cochlear implants free of charge. Nonetheless, the provision of care often founders due to a lack of centers offering comprehensive audiological care. For the 2.5 million people who live in the region around the industrial city of Sorocaba, east of São Paulo, APADAS plays a key role when it comes to comprehensive audiological care for children with hearing loss. 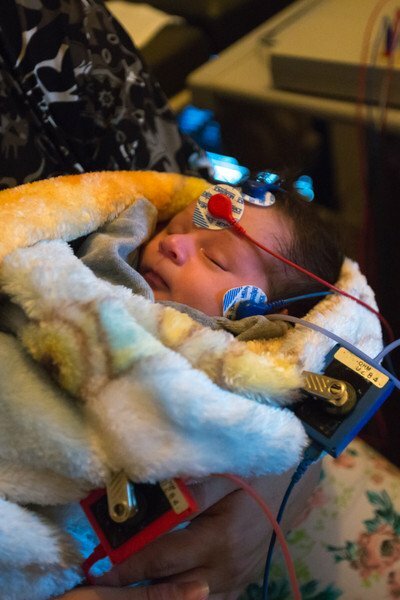 Since it was founded in 1988, the charitable organization has been committed on three fronts; undertaking research, providing audiological care and training experts. This approach involves identifying and treating hearing loss as early as possible. This is the foundation needed for these children to develop normal speech and language allowing them to live their lives free of limitations. In line with this approach, APADAS also undertake support measures for the children by educating their families and schools on the correct way to deal with hearing loss. 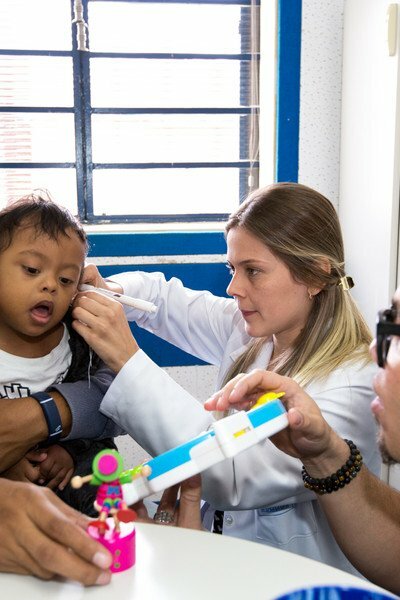 Currently, all infants and children from the region with suspected hearing loss have been referred to Sorocaba, where they are given access by APADAS to expert audiological care. However, many families from almost 50 surrounding towns and cities are confronted with long journey times of up to six hours. This travel time will be significantly reduced in the future, thanks to funding from the Hear the World Foundation. This funding will allow local experts to receive further training to create new, local points of contact for a wide range of services from initial screening to speech therapy. In May 2017 the Hear the World ambassador and musician Marc Sway visited the project of APADAS. The aim of his visit was to develop the language skills of the children in need with hearing loss through music. So Marc played music with the children, activated their sense of hearing and motivated them in a playful way to develop their language skills. His engagement means a lot: language development as early as possible will help the children to properly speak so they will be able to go to school and this offers them better future perspectives.